The roof of your home not only protects you from thundering storms, blasts of cold, and blazing sunshine, it can provide a place of peace and serenity for you after a long day of work. 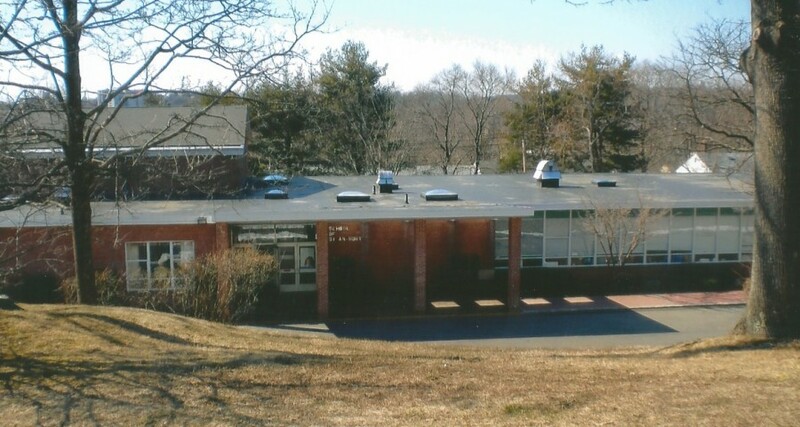 When the building needs a roof, the solution is to call a roofing company. The problem is there are many businesses and contractors that claim they can do the job and the prices often vary greatly. To help you find a reputable company that specializes in residential roofing, keep these four points in mind. As you interview potential contractors, ask what options you have available in roofing fabrics. An area that experiences torrential rains may require a different type of roofing materials than one with has a wet, humid winter with the associated molds and mildews. 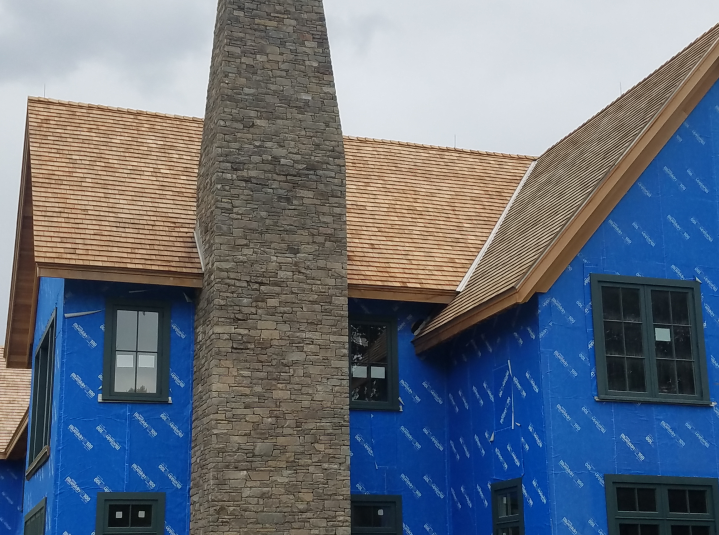 Residential roofs come in many different styles, and if you want to try a different roofing fabric, discuss possible options during your interview. Some popular styles available to you may include metal, clay tiles, asphalt sheets, and slate pieces. Solar panel options may also be available for residential roofing in some areas. You can not foretell the future, so it can be necessary to protect yourself with an agreement with your contractor about roofing repairs, maintenance, and future upgrades. Put the agreements in writing to protect your home from future disaster repair problems. Before your interview with a potential contractor, check the company’s expertise in redoing roofs by researching customer reviews and complaints on the internet. You can also talk to neighbors and friends that have used the company. Do not forget to discuss costs, quality of workmanship, and expected work time for the residential roofing project, and explain your expectations so your contractor knows exactly what you want. Once you find a company that satisfies the four points above, you can be more assured you are dealing with someone that can put a roof on your home that will protect you for many years to come. Just as you would want to research a potential mechanic before allowing them to service your vehicle, the same holds true when it comes to hiring a commercial roofing contractor. Regrettably, the industry has its share of “fly by night” contractors who operate under less-than-ethical means, so doing your due diligence before hiring one can save you time, money and considerable hardship down the line. So, what should you look for when conducting your search for a commercial roofer? It’s no secret that working from heights involves inevitable risk, so you will need to make sure that any potential commercial roofing contractor has liability insurance. Furthermore, you will want to make sure a roofing contractor also has workers’ compensation insurance to cover workers injured on the job, and do not just take someone’s word for it – request to see proof. 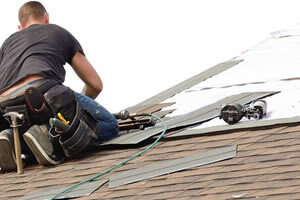 Before hiring a commercial roofer, you will also want to find out every detail about a potential company’s warranties. Warranties can involve complicated language, and some companies intentionally make their contracts tough to interpret as a way of protecting themselves, rather than the customer. So, do not hesitate to go over a warranty with a fine-tooth comb. These days, it is easy for disgruntled customers to post their bad experiences with service businesses online, so doing some simple online research may help you weed out the bad apples. You may, too, want to confer with other business owners near you to see who they hired for roof maintenance and repairs, and this may prove particularly helpful if your commercial buildings share similar facades. 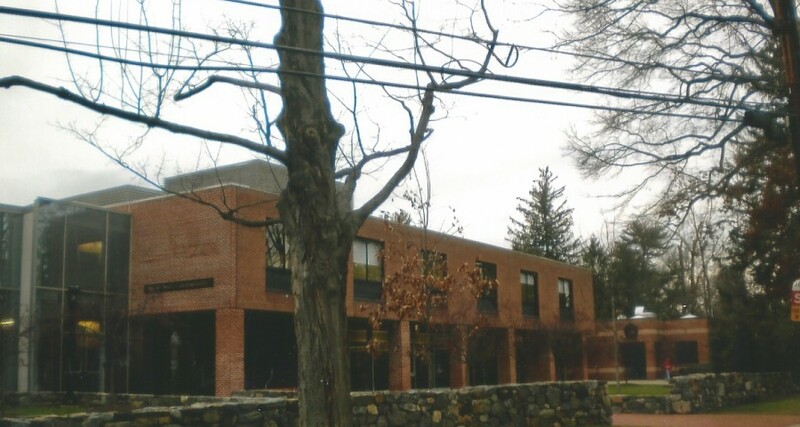 Hiring a commercial roofing contractor from time to time is an inevitable part of owning a business, but having one you can trust can mean the difference between catching problems before they arise and blowing your budget on roof repairs. Ask about these three elements before hiring a roofing company, and you can increase your chances of finding a trustworthy, knowledgeable and reliable roofing contractor. After a big snow storm, you need to make sure the integrity of your home’s roof is intact. An excessive build-up of snow and its subsequent melting could result in substantial damage to your home. You could end up paying a lot in extreme roof repairs or even roof replacement if you are not careful. Seek out snow removal from a professional team to make sure your roof stands the test of time. The biggest problem you have to contend with when freezing temperatures are outside is the formation of ice dams. This occurs when the temperature outside differs from the temperature of the roof. If you have the heater running inside, then the snow could hit the hot roof, causing it to melt. The water then flows to the edge of the roof where it freezes again. The best way to avoid this is to maintain a consistent temperature throughout your home. You require excellent insultation to ensure the roof is the same temperature as the weather. The snow will not melt, and you have a decreased risk of dealing with ice dams and leaks. After a big storm, you can hire professionals for prompt snow removal. During this process, you can also ask about the possibility of installing a rubber membrane on the roof. This is a structure directly attached to the roof. The shingles then go on top. This will protect your roof over time in the event ice dams form years from now. This is a preferable course of action for homeowners with older roofs that may require extra protection. If you are not careful, then a roof you installed a few years ago could sustain serious damage from a snow storm. 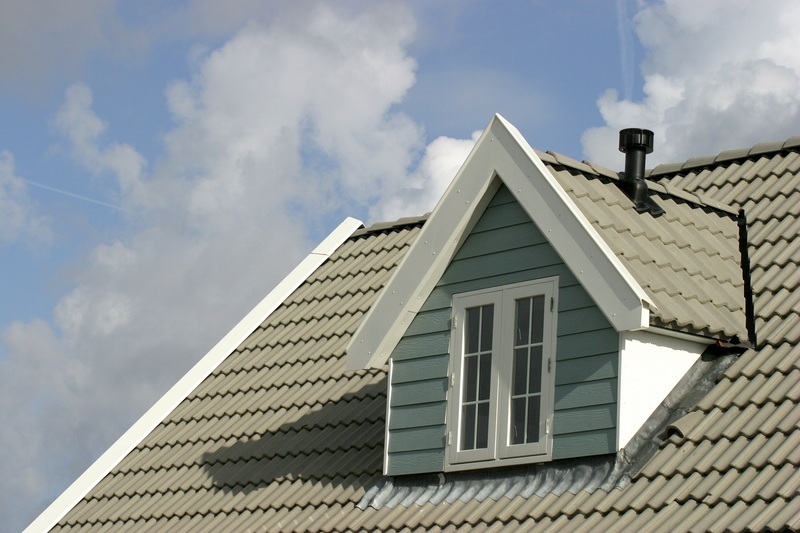 With a few precautions and a professional roofing team by your side, you can rest easy. Regular Roof Cleaning – Why Is It Necessary? Keeping your house clean is probably one of your biggest priorities. Though cleaning isn’t exactly the most enjoyable activity in the world, you no doubt recognize the importance of keeping things tidy and looking nice. However, if you’re like many people, you may forget about the exterior of your home, particular the roof. Regular maintenance and cleaning of your roof has distinct advantages in preserving the integrity of this essential feature of your home. 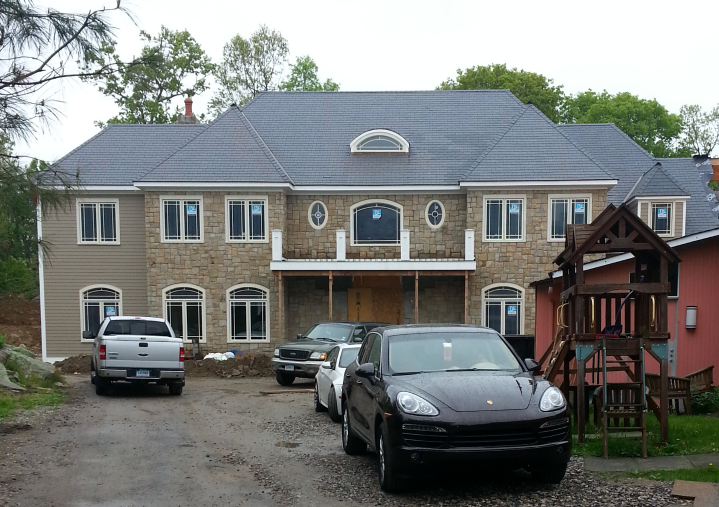 Doing so is vital not long after roof installation and over the ensuing several years. Mother Nature isn’t a roof’s best friend. High winds, in particular, will bring unwanted guests on top of your roof in the form of tree branches, leaves, garbage and other items. Left disregarded, your roof can soon become cluttered with these undesirable invaders. Not only will these make your roof and entire home look bad, but failure to remove them may eventually compromise the integrity of your roof. A ladder and broom is the easiest way to clean your roof. Just take caution and practice wise safety regulations when getting on your roof. Not long after roof installation, precipitation will begin to take a toll on your roof. If you neglect cleaning it regularly, harmful moss and mold will start growing. Your first thought is that these simply look ugly, but there are worse consequences. If you don’t remove algae and moss, they can cause leaks in your roof, and you’ll soon be calling a roofing contractor to address that potentially disastrous issue. Professional cleaners will do a thorough job removing these ugly aggressors. You can also use some homemade solutions on your own. Preserving your roof will protect you and your family. It will also extend your roof’s life decades after roof installation. A healthy roof gives your confidence and peace of mind. 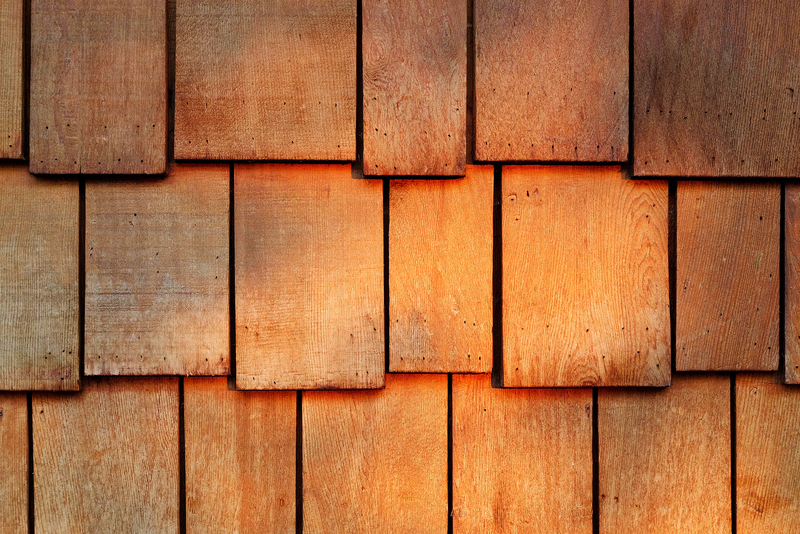 Abstract wooden texture of red cedar shingles, shake wood siding row roof panel. Roofs take a lot of abuse from mother nature. Depending on your location, it may need to protect against extreme wind, heavy rain or snow. 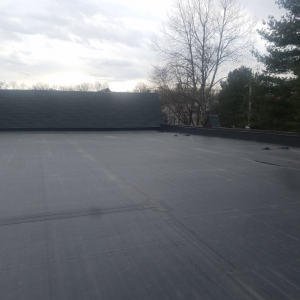 The roof is also a primary insulating agent, helping homes keep the heat in during frigid winter nights and keep it out during the scorching summer days. 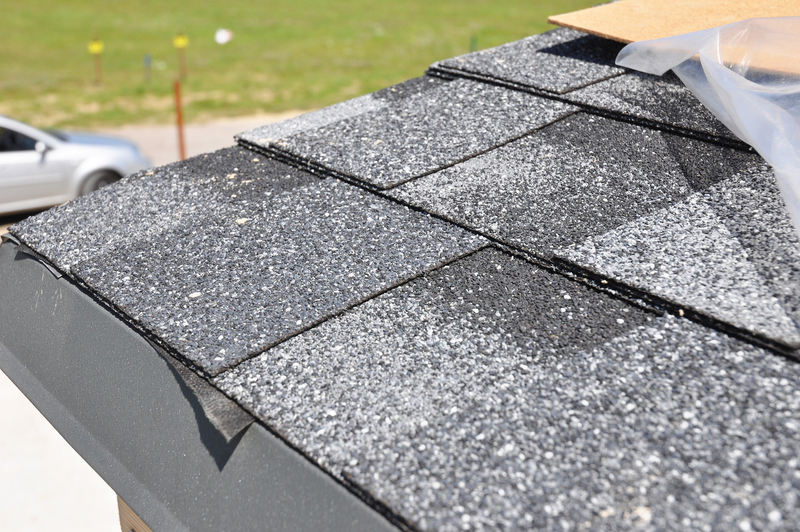 An asphalt roof can protect against the elements without breaking the bank. There are many options for roof installation, with differences that may highlight aesthetically pleasing designs or functional necessity. Between types of material available (such as roofing shingles, tile or metal panels) and the need for a stylish look, homeowners may be faced a tough decision concerning their roofing. A popular choice for residential areas is the flat roof. As with any major decision, it’s best to evaluate the pros and cons of this style before moving forward with installation. Contrary to what the name indicates, flat roofs actually contain a slight amount of pitch or angle. If the roof is completely level or flat, rain water or melted snow and ice is unable to drain from the roof. This wreaks havoc on the structural condition of the roof and causes severe water damage. If you notice some stagnation occurring, you may need to consider having your flat roof replaced to increase the drainage slope.